Training reinforcement has become front and center for many organizations. Why? Because training reinforcement has proven to increase retention and change behaviors. Check out our list of the top 6 reasons why companies love training reinforcement and why you should too! Employee training and development is necessary and expensive. Whether you’re developing your training courses in house, or using an outside vendor, resources are stretched thin and every dollar counts. To ensure that you’re getting the most return on investment from your training, it needs to include reinforcement. Your training went well and you have the post-training surveys to prove it: relevant content, excited participants, and great materials. But the minute the training is over, the battle with the Forgetting Curve begins. Participants forget up to two-thirds of your training material within two weeks of training ending. Mindmarker training reinforcement automates the battle against the Forgetting Curve by sending quick and meaningful reinforcement Messages. These messages are carefully crafted and sent at just the right time to help learners remember and apply what they learned in their training. Actually, your employees attended a training course. And just because they learned something at this training does not mean they are using and applying it back on the job. Mindmarker focuses on final outcome of the training and achieving results. What are the desired behavior changes that the participants need to show after the training? Knowledge retention is just the beginning of training reinforcement. Changing behavior is the ultimate goal. Mindmarker's Analytical Tool provides valuable data during your training reinforcement program, which leads to decisions and actions that continually drive organizational improvement. How are your learners progressing? Are your employees engaged throughout your reinforcement program? Are you seeing the desired results? What should you do with the results to a quiz or survey question? Can you use the information to make valuable impact in your organization? Your employees have to attend a training session. But that doesn’t mean that they want to! Attending training takes them away from their daily tasks and activities, and can feel like a negative event. Change the perception of training and improve your organization’s culture of learning by incorporating post-training reinforcement. They still have to attend the training, but it’s not viewed as wasted time when they can take the information learned in training with them and apply it back on the job. When your learners experience real results, they are more likely to have a more positive outlook on future training and development programs.Read our success stories to hear what Mindmarker participants have to say about their experience with Mindmarker reinforcement. Mindmarker reinforcement messages are short (like a cup-of-coffee short), engaging, and effective. A few minutes a week is all it takes to bridge common training gaps, apply new knowledge and skills, increase retention, and change behaviors. Training is not a one time event. Training often fails because there is no training reinforcement. It’s just that simple. The content was great, the facilitator was engaging, and the handouts and activities were helpful, but what happens when the training is over? The science of learning has shown that knowledge and skills must be reinforced over time. Sending your employees through training does not mean they’ve been trained. It only means that they’ve attended a training program! To say they’ve been trained, your training event must be transformed into a process that optimizes the learning and behavior outcomes for your learners. 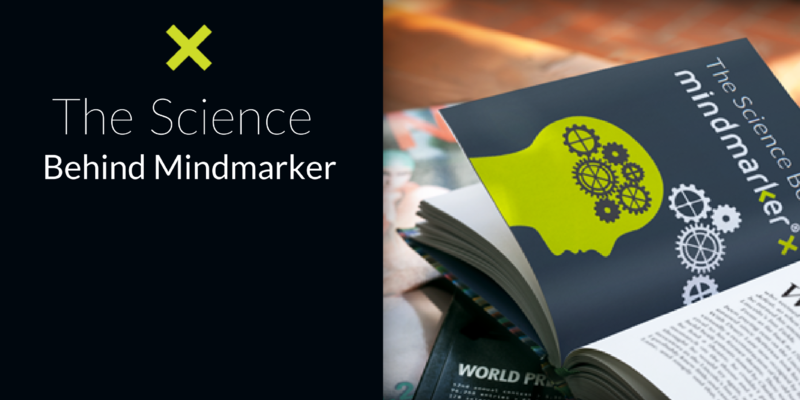 Read more about the science behind learning in our eBook, The Science Behind Mindmarker.